As April comes to an end, autumn continues to settle in, inviting us to stop by cafes to warm up the late afternoon with submarines and pastries. Book lovers can continue to visit the international book fair, to buy books, or attend conferences and by the end of the week the international circus festival infuses the city with some fun and games. If your planning to visit the city center to see the obelisco, or to take a tour of the Colon Theatre, head to the Palacio de Aguas Corrientes (palace of running waters) on Cordoba Avenue and Riobamba first. 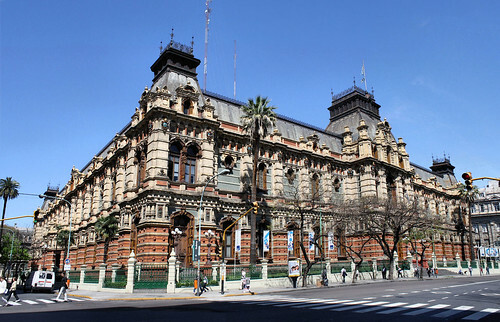 Originally built as a disguise for a water tower meant to provide clean drinking water to the people after the 1877 outbreak of yellow fever, the stunning palace now works as Aguas Argentinas (the local water company) headquarters and also as a museum. For a great gourmet lunch in the nearby area head to Restó, just 5 blocks away from the Palace. In the evening, head to the playful AcaBar in Palermo for a great time in a lively and vaudevillesque atmosphere where you can play board games and choose one of their carefully prepared drinks. 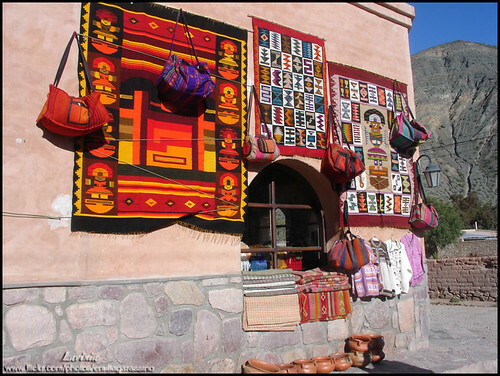 A visit to the ethnografic museum is a great way to learn more about the countries indigenous indentity and ethnic background. 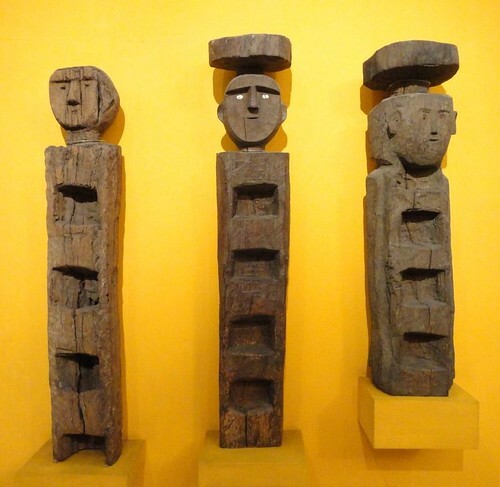 Currently the museum is hosting a photography exhibition of the indigenas towns from El Chaco, a collection of exotic objects from different cultures, an interesting exhibition on the indigenas from Tierra del Fuego and their conflict with European travelers, and an exhibit on the 4000 years of history in the northwest Argentina. For some great food close by try the French cuisine at Brasserie Petanque, or for some coffee and pastries head to the close by Chile and Bolivar streets and sit down at Bar la Poesia or Cafe Del Amanecer. In the evening go to Miloca to enjoy some drinks in the bars garden or terraces. 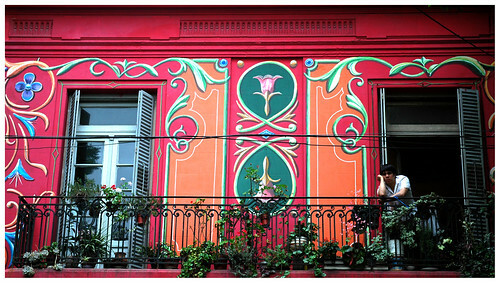 Take a Fileteado Porteño Tour and discover the typical style of painting associated with Buenos Aires. The tour starts at 1.30pm in the Abasto area and moves to San Telmo either by bikes or public transport. It includes a snack in San Telmo and gives you the chance to try out the technique yourself! In the evening check out Le Bar, an artistic space with great lighting and design offering live concerts on Wednesdays. In the evening, at 8.30 pm, head to the Teatro El Cubo in the Abasto areas for La Musa del Capricho, a creative dance show which fuses dance, song, tango and theatre. 6 Blocks away from the theatre is Los Cocos, a great traditional pizza place with a great ambiance, also close by is Cafe El Banderin, a lovely cafe/bar surrounded by flags of all the national football teams. Later on at night check out Baila! at Centro Cultural Konex, a dance show featuring music, dance, percussion and theatre. Check out some of the international circus shows being hosted at the festival Polo Circo! More information here. This entry was posted in Buenos Aires Agenda, Where to Go, What to Do and tagged argentina, Autumn, Current events, dining, entertainment, fierro hotel, hotels in Buenos Aires, Palermo, San Telmo, south america, Things to do, This week in Buenos AIres, Travel by Fierro Hotel Staff. Bookmark the permalink.